Luxury Transportation Group was established in 2008 as a premier New York transportation management and full service chauffeur company. The reputation for operational excellence provided an opportunity to grow and showcase our quality corporate and VIP destination services in multiple metropolitan markets. Our vehicles are equipped with the latest in mobile technology including GPS tracking software, allowing us to locate anytime. We offer real time flight tracking, email confirmation, easy scheduling, and payment via digital technology helping us deliver superior customer service at a moments notice. 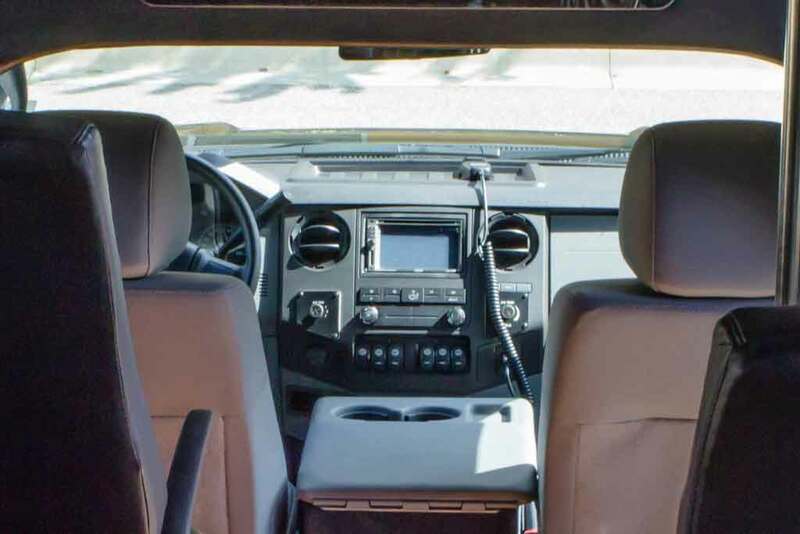 Dispatching is sent electronically to each drivers mobile hand held device, increasing the reliability of communication while improving responsiveness. All Luxury Transportation Group drivers receive confidential background checks and driving record evaluation before being employed. 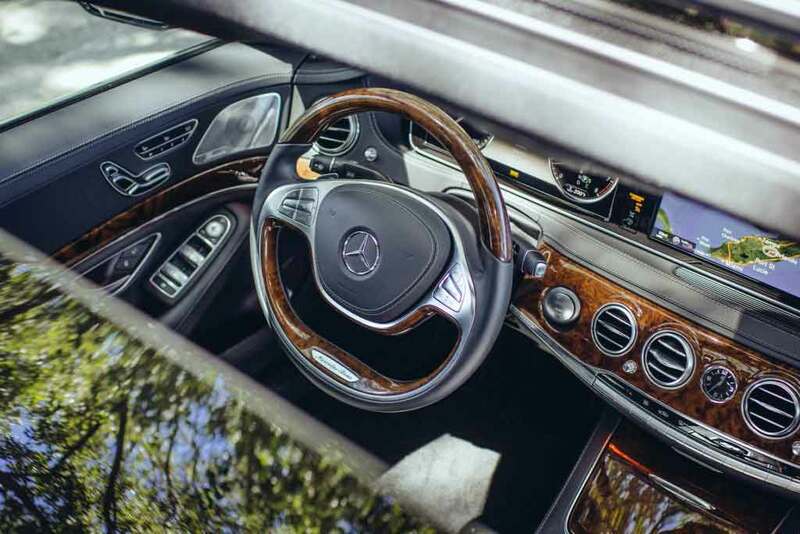 In addition, every driver completes training classes covering important areas of transportation management and receives Luxury Transportation Group certification. These measures ensure that we provide leaders in transportation who are responsible for monitoring all aspects of overall appearance, vehicle cleanliness, quality of service, and unhindered communication. Click on each location for more information! Though we never compromise on quality, our pricing remains competitive. 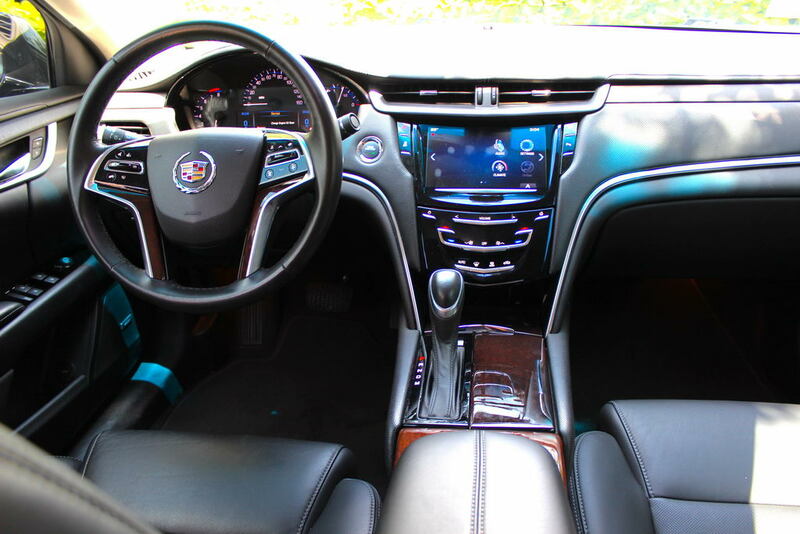 With an extensive collection of luxury vehicles, we can meet all of our customer needs. Let us take the stress out of planning transportation for your meeting or convention. Look no further for theme parks, city tours, eco-adventures, or space exhibits. Unwind with some of the best places to eat and have a great time. 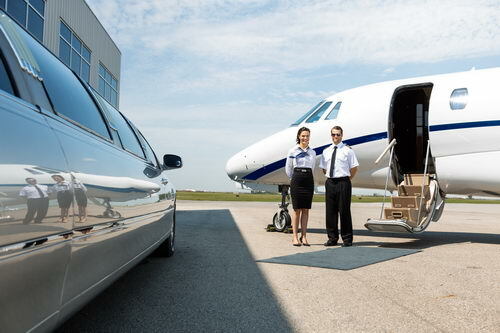 We service all major airports and FBO’s in the NYC, Orlando, Miami markets. With service to all Seaports, we’ll get you to that well deserved vacation. There aren’t many better options to let loose at than ones we can show you. Going to a game? Let us get your group there comfortably. Take a break and check out some of the best spots to shop. Please check our reviews or write your own review. Let us know how we are doing so we can become even better. There are millions and millions of people who visit sunny Orlando each and every year. Whether they visit to enjoy the adventurous theme parks, incredible sporting events, or are simply here for business, Orlando is a wonderful and magical place to be! While Orlando is definitely all that and a bag of chips, it does have a downside, and that is traffic. It’s important to consider hiring a reliable company for transportation services in Orlando. While a lot of people opt to book an Uber to get to where they want to go, it might not be the best option. In all honesty, you never know how much insurance the driver carries so in the event of a serious accident, you can’t be assured that your medical bills will be paid. Ubers are risky and wise visitors tend to book experienced luxury transportation services while they are in the area. 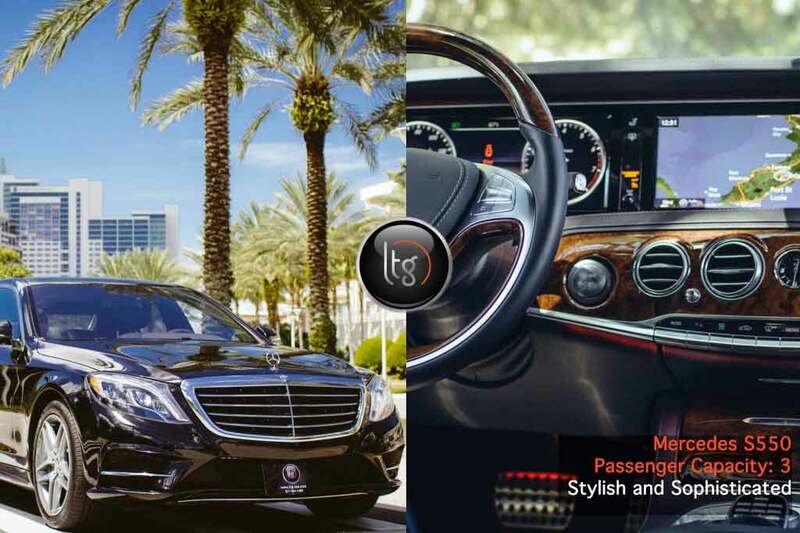 Luxury Transportation Group USA offers quality higher quality transportation services in Orlando than any Uber possibly could. Orlando Florida is the most visited city in the United States. It has surpassed the number of visitors to New York City for the past several years. It makes perfect sense! Orlando has so much to offer tourists and corporate event attendees. Besides spectacular venues for company meetings and get-togethers, there are tons of things for the attendees to do in their spare time while visiting Orlando. There are great sporting events, such as Orlando Magic basketball games or the Solar Bears hockey games. Of course, the Atlanta Braves have their Spring Training in the area as well which can prove to be a fun experience. The theme parks are plentiful too. Everybody knows that Walt Disney World and Universal Studios are in Orlando however; it’s only a hop, skip and a jump from Sea World and other cool theme parks. 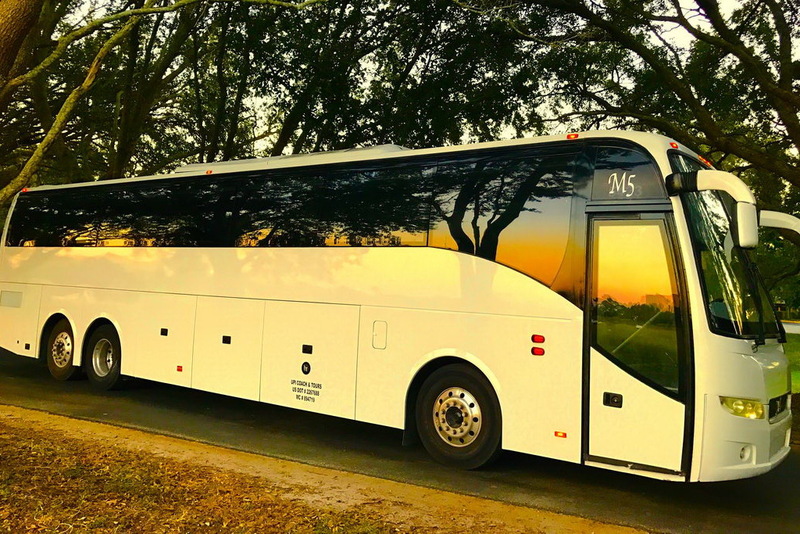 Many companies set up outings for the executives visiting the area, and hire mini coach transportation for them to get to and from the hotels to different sporting events or theme parks. 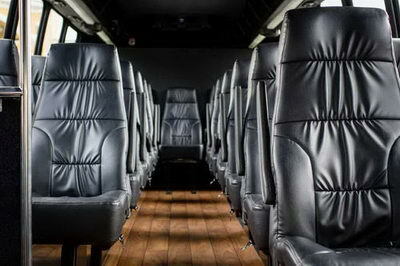 Luxury Transportation Group USA provides the finest corporate mini coach transportation services Orlando has to offer. Orlando is the number one vacation spot in the US. It even surpasses New York City in the number of vacationers who pass through each and every year. There’s no wonder considering the moderate climate, bounty of theme parks and great attractions in this area of the Sunshine State. Loads of families even have their annual family reunions in Orlando, so they can all experience the wonders of the Land of Mickey Mouse and Movies and incredible rides. Unfortunately, everyone going to the reunions can’t afford to stay inside of the theme parks. This can be an expensive endeavor, especially if the attendees have large families. 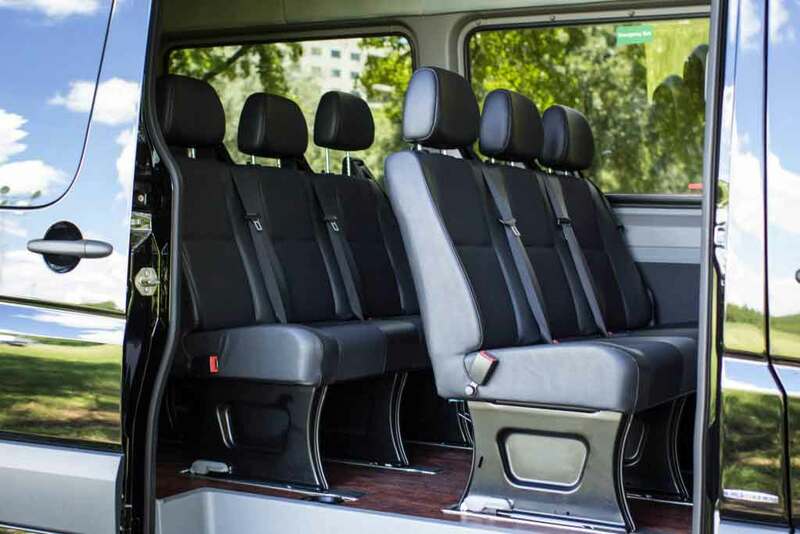 The best option for transportation services is to hire luxury minibus transportation for getting around the Orlando area. 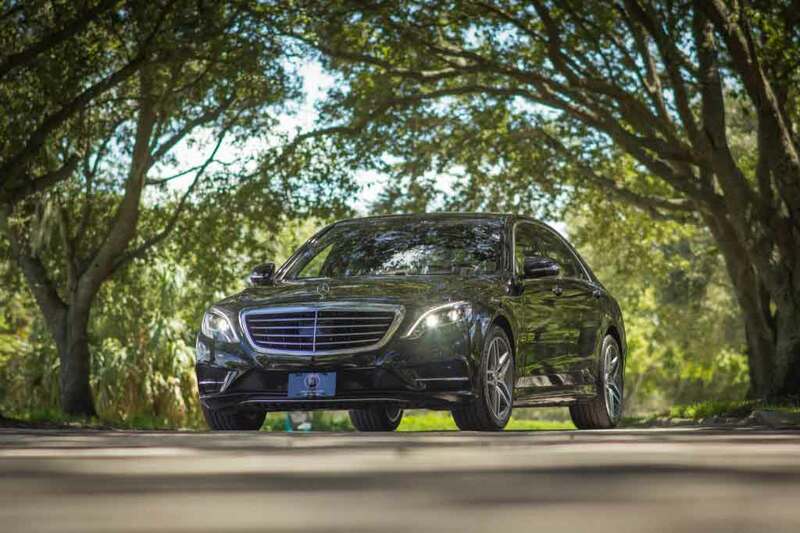 Luxury Transportation Group USA has drivers that are highly experienced in getting vacationers to and from their Orlando family reunions on time. The mere idea of vacationing in West Palm Beach is a dream of many, many people from all over the world. The beaches alone are enough to make people of all walks of life to visit, but there is so much more to do in South Florida. For the outdoorsmen and outdoorswomen, the fishing is out of this world, and there are plenty of things to see on airboat rides through the Everglades, and ocean boat rides to see dolphins and other creatures. Of course, there are watersports galore that will leave you breathless. Should it rain, there are loads of museums, boutique shops, concerts and sporting events witch you can enjoy. It’s a bit of paradise on earth. That is, except for the traffic. Getting to and from Palm Beach International Airport can be stressful enough to make you want to turn around and head home. That stress can be avoided by hiring a limo service to deal with the problematic drivers on the road. 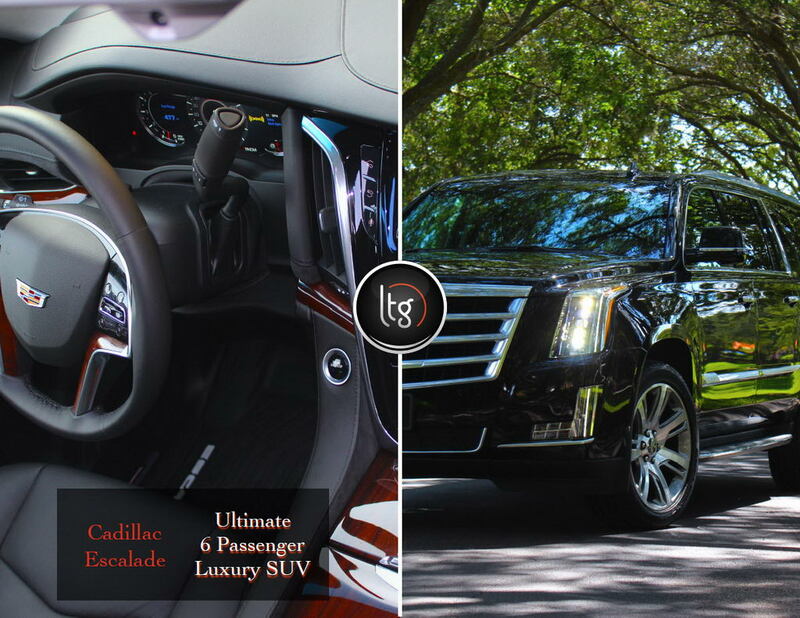 Luxury Transportation Group USA offers the finest fleet of vehicles for airport transport services throughout South Florida. It seems that more and more people are realizing that the South Florida area is a beautiful place to spend their vacations. It’s a great place for singles, families with children, and even retirees to spend some wonderful holiday time. Regardless of your status, there is no doubt that you will find the local beaches to be wondrous, picturesque, and a lovely and relaxing way to enjoy some fun in the sun on the soft, sand with the water of the Atlantic Ocean lapping at the shore. The younger, single set will also enjoy the plethora of bars and nightclubs. Families will surely enjoy the watersports and National Parks in the area. The older set will undoubtedly enjoy all that the area has to offer, including museums, concerts, and boutique shopping. No one can be disappointed, unless they make the awful decision to drive themselves to and from the airport. That drive is enough to drive a person crazy and cause the beginning of the vacation to get off to a very stressful start. Many people opt to get rental cars and live to regret it because of the confusing roads, and other vacationers driving in areas they do not know. It’s better to hire a car service. 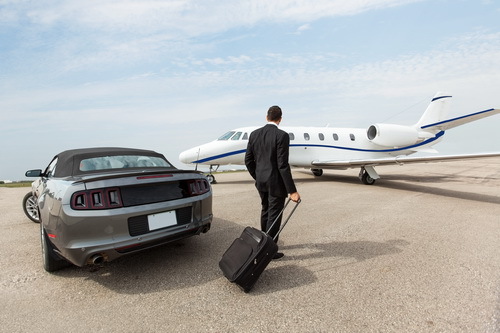 Luxury Transportation Group USA offers airport to hotel and vice versa services for those vacationing. Almost one hundred million visitors flock to The Sunshine State each and every year to enjoy the wonderful things year-round residents experience every day of their lives. It’s a whole different world down here, and visitors love it! It’s no wonder, there is so much to offer that even the most reserved person would quickly be drawn to one activity or another event. The biggest problem with visiting the area is the traffic. Because it’s so popular for vacationers, people are completely confused as to which lane they need to be in, and where they need to turn. Driving can not only be a nightmare, but dangerous as well. With people slamming on their brakes to make a quick turn, or switching lanes without using their directional, or even looking in their mirrors, accidents are the norm. 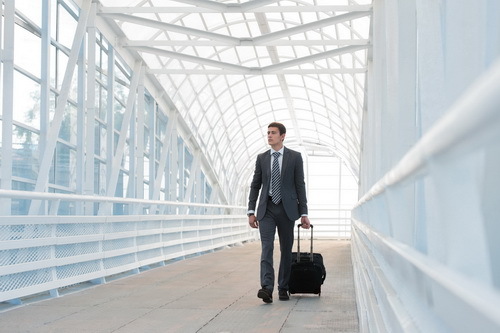 It’s best to hire a transportation company to get you to and from the airport. 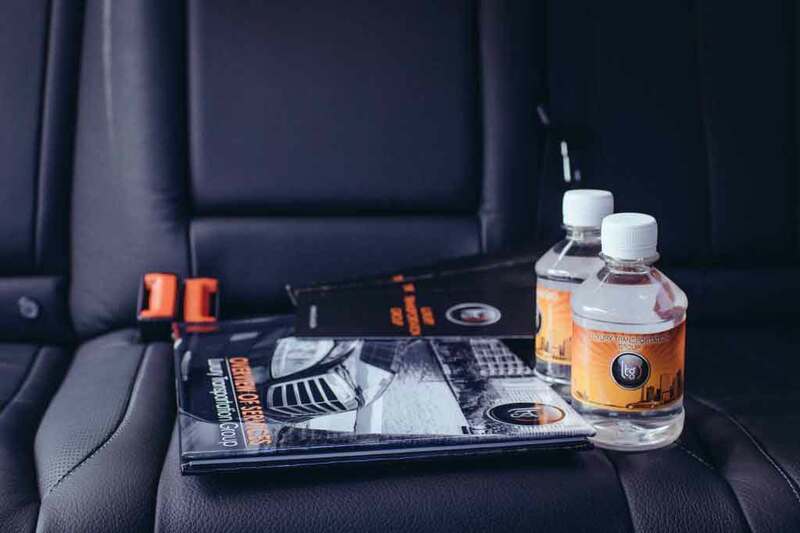 This will alleviate the stress of driving, and ensure that your trip starts off without issues. That will be a big deal, once you see how people drive in the area. Luxury Transportation Group USA offers luxury limo services for airport transportation in South Florida. There are million people who travel to Tampa each and every year to check out all the amazing things that the city has to offer. 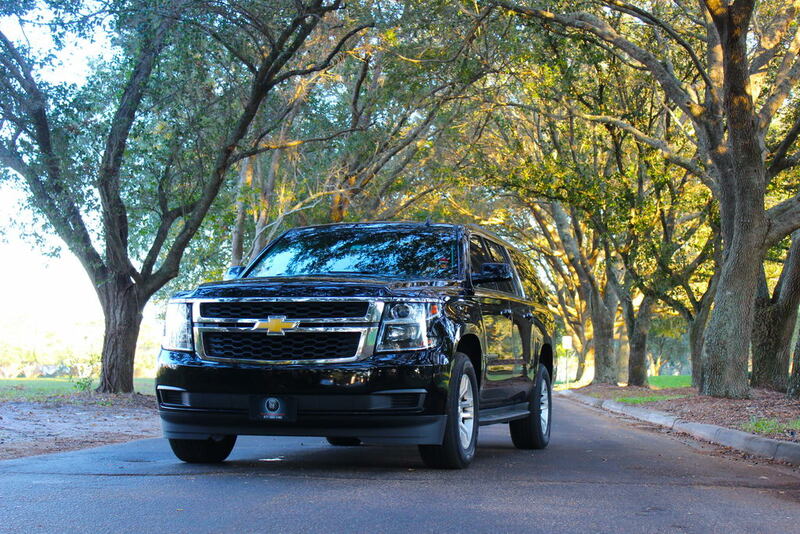 Having a “go to” company for all of your Tampa Airport limo transportation needs is important. In all honesty, it makes life so much easier when you need to travel to have a company that you can trust and rely upon. 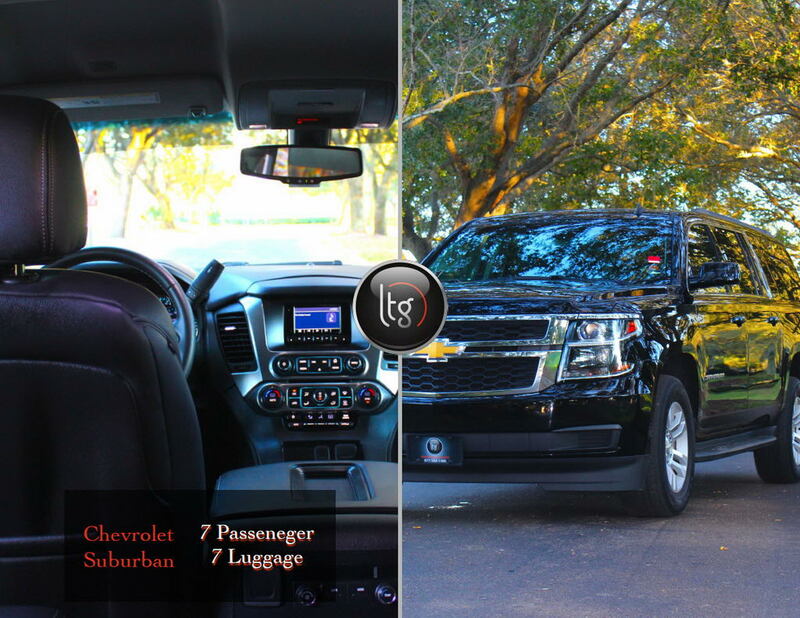 Luxury Transportation Group USA offers complete luxury limo services for airport transportation in Tampa and the surrounding areas. Nearly sixty million people travel to visit sunny Orlando Florida each and every year. They visit to experience the thrilling theme parks, attend business meetings and conferences, and even to see live Orlando Magic games. Considering the high population of the city and surrounding areas, Orlando drivers can create problems for other drivers. Let’s face it; few bother to use their directional as they are weaving in and out the lanes of the expressway. They speed like maniacs and then slam on their breaks when they get to the exit they need. This causes a whole lot of anxiety for others, as well as numerous accidents each day. It is so much safer and smarter to hire luxury limo services for airport transportation in Orlando. 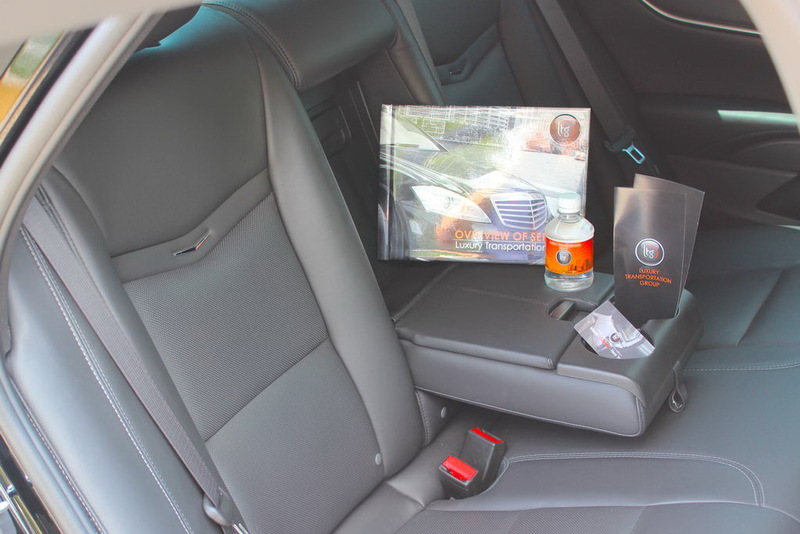 A professional limousine driver is accustomed to the crazy drivers in and around Orlando. 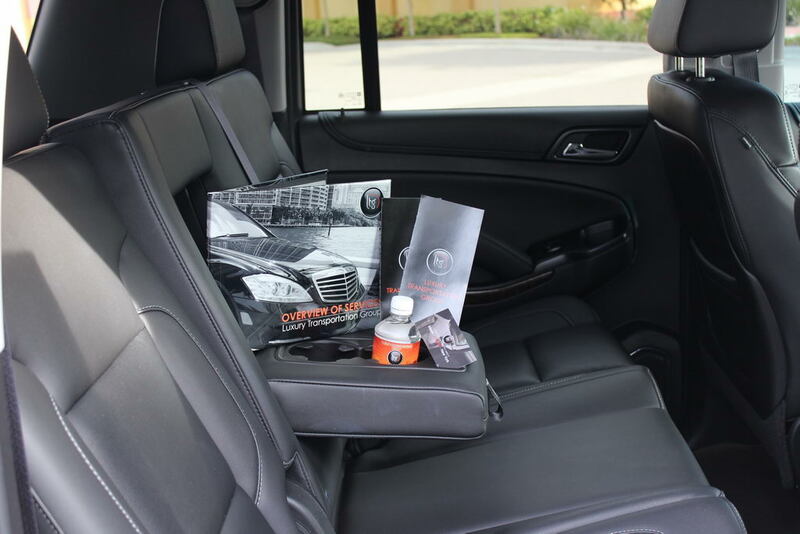 Luxury Transportation Group offers expert drivers and the finest vehicles for their luxury limo services for airport transportation in Orlando. Over the past couple of decades or so, the Space Coast of Florida has been increasing in popularity for vacationers to the Sunshine State. We all know that children have always been interested in space, and anything that has to do with the exploration of the unknown. Honestly, most little boys played with rocket ships, and depending upon the generation, either watched The Jetson’s, Star Wars, Lost in Space, and the like. The unknown is intriguing to loads and loads of people. This endearment for space has improved the tourist industry in the area, and that is a very good thing for the businesses. It’s also a good thing for the visitors because they will be able to learn about space exploration, and depending upon the timing of their holiday, might even be able to experience a launch. That would definitely be a cool addition to the vacation experience. Of course, parking in the area can be a bit problematic, especially if you are traveling with a group. 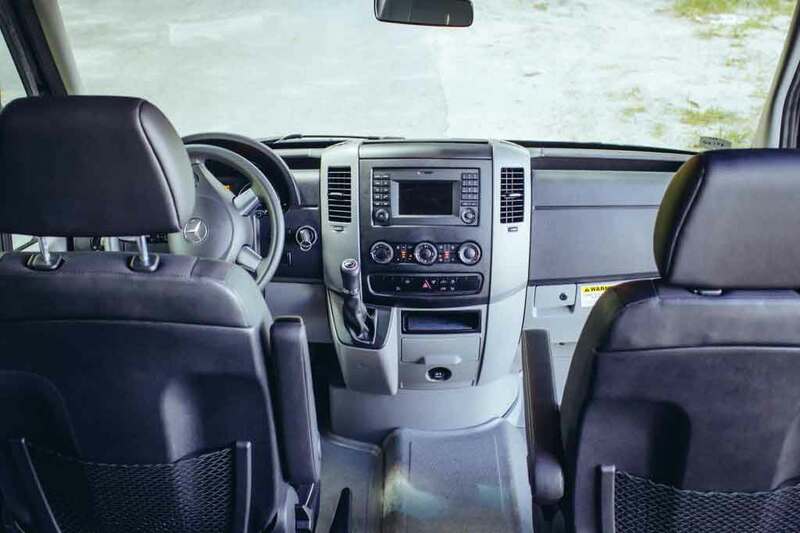 It might be worth your while to consider hiring a company for transportation services. Luxury Transportation Group USA provides top of the line vehicles for all of their limo services. 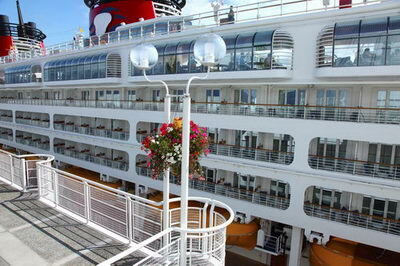 One thing that is a relatively concept to the Port Canaveral area is the destination wedding. It’s amazing to think that people travel hundreds and hundreds of miles to attend weddings of family and friends. Years ago, people always got married in their hometowns, in the churches or other houses of worship in which they grew up. Oh, no. Things are so different these days. They simple and typical wedding is no longer enough for many brides and grooms. They want something completely unique; something that no one in their circles has ever even considered doing for their weddings. Destination wedding to the Space Coast are definitely different than most people could even fathom. Depending upon the scheduled date for the nuptials, the happy couple could be exchanging vows on the beach, while a launch is taking place in the background. One would have to admit that this would really be cool! That would truly be a once in a lifetime experience. Of course, there would be an issue of transportation of the guests to and from the ceremony locale, as well as to and from the reception venue. This is always the responsibility of the parents of the newlyweds. 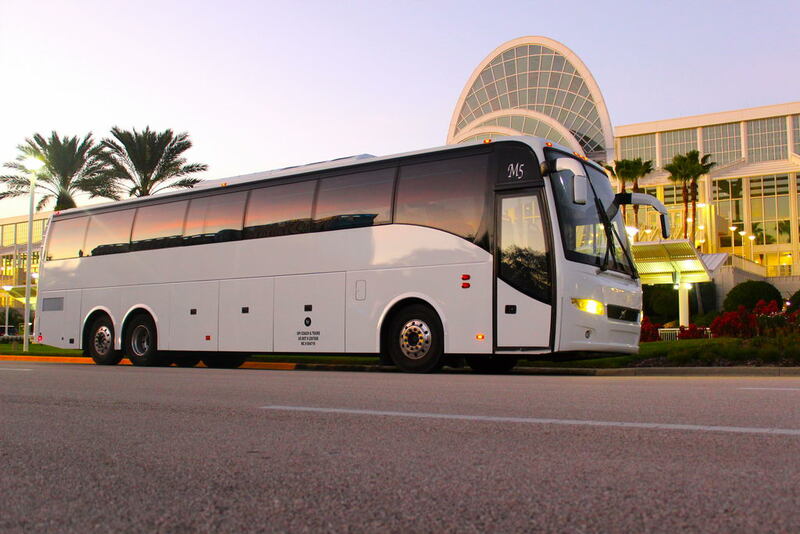 Luxury Transportation Group USA offers luxury group motor coaches for weddings in Port Canaveral. 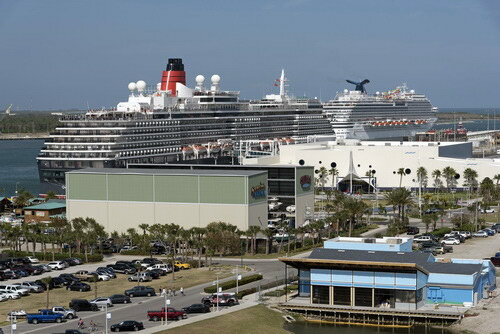 The space Coast of Florida is one of the up and coming cities for departures for many cruise ship lines. 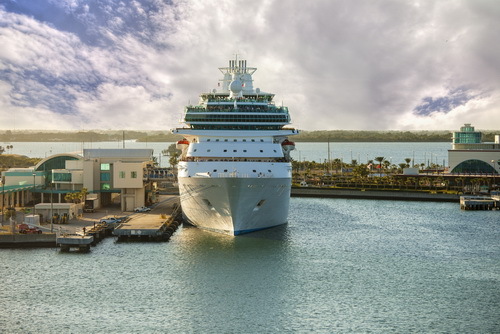 Considering that approximately 70 percent of all cruise ships departing from the United States leave from the State of Florida, it makes sense that cruises utilize as many ports of call as possible. 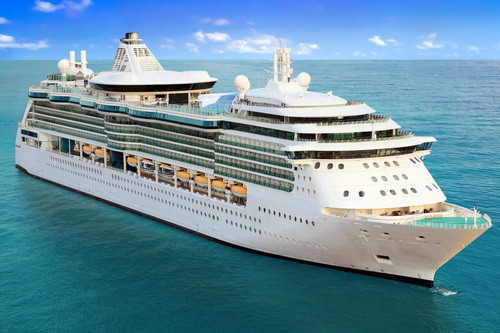 The availability of numerous ports makes the prices of cruise ship vacations significantly more affordable for people who generally wouldn’t be able to afford such a vacation. The only thing that will really put a hit on the budget is renting a car and having to pay for parking while you are cruising. It’s amazing at the number of people who foolish do this, and waste their hard-earned money. Think about it! The car is simply being used to get from the airport to the seaport, so you are paying for a rental car that is not in use. You will also have to pay for parking the car in a parking garage while you are gone. Spending that money is like putting a match to it, and watch it burn. It’s more cost-effective to hire a company for limo transportation. Luxury Transportation Group USA offers complete limousine services for cruise ship ports of call. Cruise ship vacations have been becoming significantly more popular with vacationers over the past few decades. The cost to go on a cruise has gone down quite a bit, and with the addition of all-inclusive packages, it makes cruising much more affordable for the average family. The pricing these days is similar to that of taking a holiday in the next state over from where they live. For this reason, the appeal of a cruise to an exotic, tropical island is overwhelming. Nearly everybody dreams of vacationing in a faraway paradise relaxing with a cool drink in the sand, and watching the turquoise water lap at the shore. The anticipation of getting to the port of call will be flowing, until you realize that driving on the Space Coast can be an absolutely nerve-racking experience. This can lead to aggravation and a short temper, and nobody wants to start off a vacation feeling that way. It’s easier to use a transportation service to get to and from the seaport. 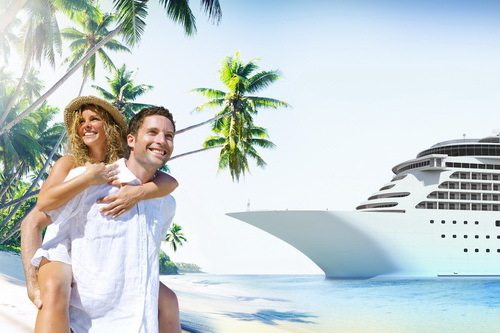 Luxury Transportation Group USA provides top quality seaport transportation at family friendly rates. The Space Coast of this wonderful state of Florida offers a veritable smorgasbord of interesting, educational, and incredibly fun things to do. Visitors of all ages are stunned to learn about a wealth of things in the area, but especially all about the wonders of space and our universe. 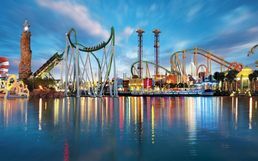 While the vast majority of people who decide to vacation here generally go to Orlando to see Disneyworld, and Universal Studios Orlando, many opt to finish their visits with a trip to Port Canaveral for some “out of this world” fun. Unfortunately, there is a major issue with traveling from Orlando to Port Canaveral. The roadways can be incredibly confusing and considering the drivers are mostly tourists trying to find their ways around, the traffic can be a bit on the dangerous side. It would be so much easier to use a company that handles complete transportation services for visitors to the Space Coast. 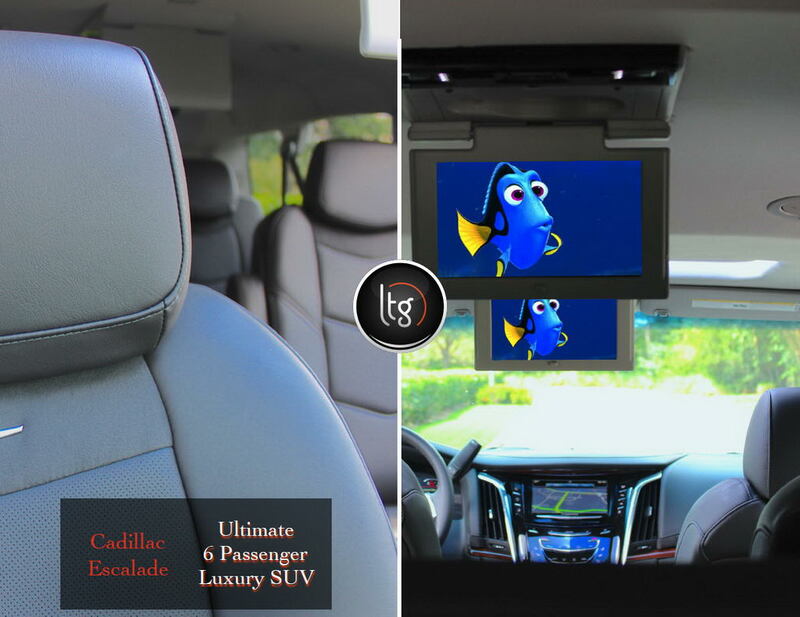 Luxury Transportation Group USA offers professional limo services in Port Canaveral and the surrounding areas. There are loads of wonderful and exciting things to do in Port Canaveral that it’s enough to make your head spin. Once you add all of the great educational excursions, it will be hard to decide which adventure you should do first! The only downside to vacationing in Port Canaveral is dealing with the crazy traffic. Much of the traffic is caused by visitors, who simply have no idea where they are going. Visitors tend to change lanes quickly and dangerously because they’re not sure where they need to be. Of course, there are those who stomp on the brake so they don’t miss where they need to turn. 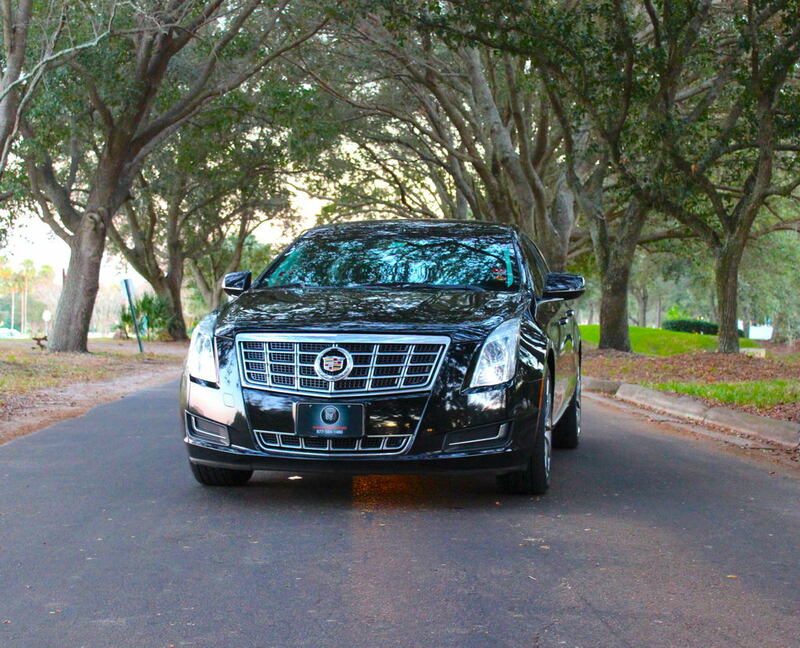 It can be scary driving in the area so, many people use Port Canaveral limo services to get them around safely. 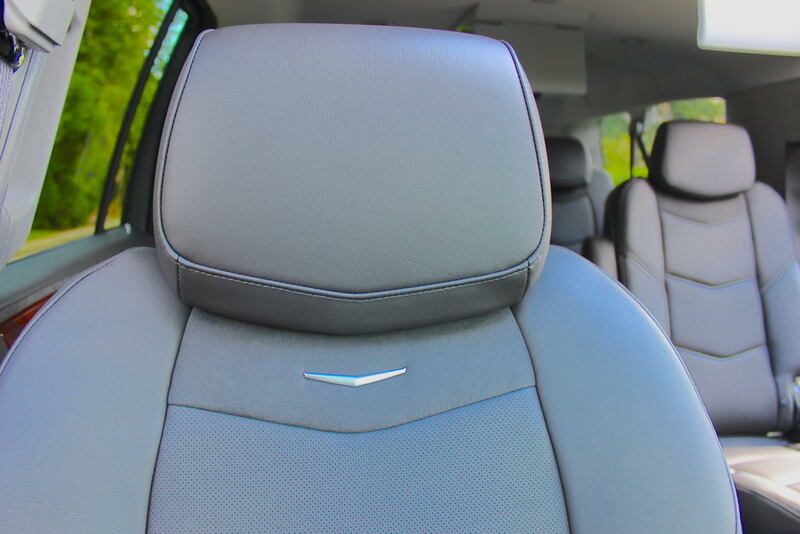 Besides, taking a Port Canaveral limousine will have you traveling in style. Luxury Transportation Group USA offers knowledgeable and experienced drivers for all of their Port Canaveral transportation services. There are a lot of people who visit the Sunshine State and want to see as much that Florida has to offer in a single vacation. The truth of the matter is that even those living in the paradise can’t manage to take advantage of all the sites and attractions and excursions available to them. There simply isn’t enough time in the world to do that; however awesome it would be. The first place that the vast majority of visitors go to is Orlando. It make sense as they have so many popular attractions, such as Disneyworld, Universal Studios with the new Harry Potter World, and Sea World. That’s only mentioning a few things as there are plenty of more things to do. Renting a car and driving in the madhouse of traffic can prove to be draining, especially if you plan to visit Florida’s Space Coast too. Hiring a company for Port Canaveral Orlando transportation services will surely make your visit more relaxing. Luxury Transportation Group USA offers professional Port Canaveral Orlando limo services for individuals, small groups, and large groups. Taking a trip to beautiful Orlando Florida to visit the magical place known as Disneyworld is a once in a lifetime vacation for many, many families. 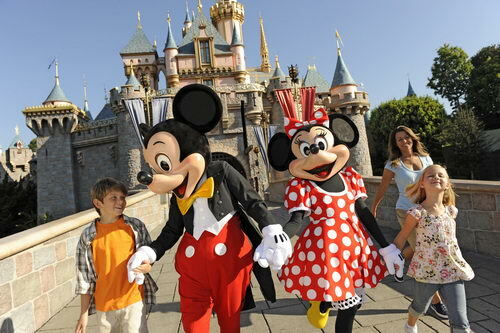 For most people, they have to save for years to be able to take this dream vacation to meet the famous Mickey Mouse, and all of his friends. It’s understandable that people would like to save as much as they can while on holiday however; choosing the Uber sensation is not always the best idea. Think about it! You really don’t know who the person is that is picking up you and your dear family. 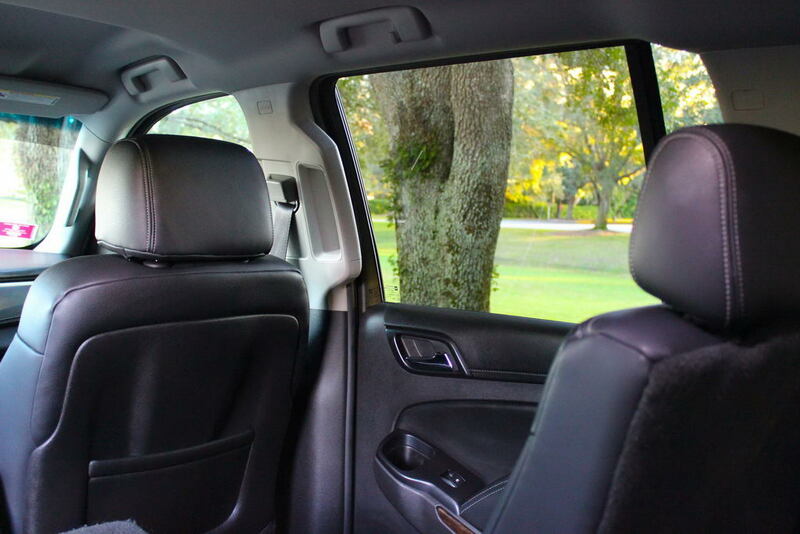 With a professional Disneyworld – Orlando airport car service, you can rest assured your driver is an experienced professional. Your safety, and the safety of your family should be of the utmost importance, especially in a strange city. Luxury Transportation Group USA offers highly professional Disneyworld – Orlando airport transportation for families large and small. Who wouldn’t want a night out in Tampa, especially when you have a limo service to take you in style? Just close your eyes and imagine the freedom and fun you’ll have letting someone drive you around to all the hottest night out spots in Tampa. And you have not a care in the world about traffic, parking, drinking…you just get to have the most wonderful time of your life. Invite your closest friends and family, or make it an intimate or even singular night out. Whatever you choose will be amazing. 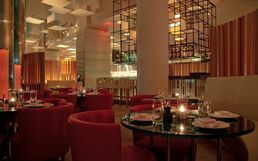 The nightlife in Miami is totally amazing, no matter what your age or tastes are, there is something that will tickle your fancy! Whether you are visiting or are a resident in Miami, there are times you want to fully enjoy the nightlife. The most optimum way to do that is with a limo service. 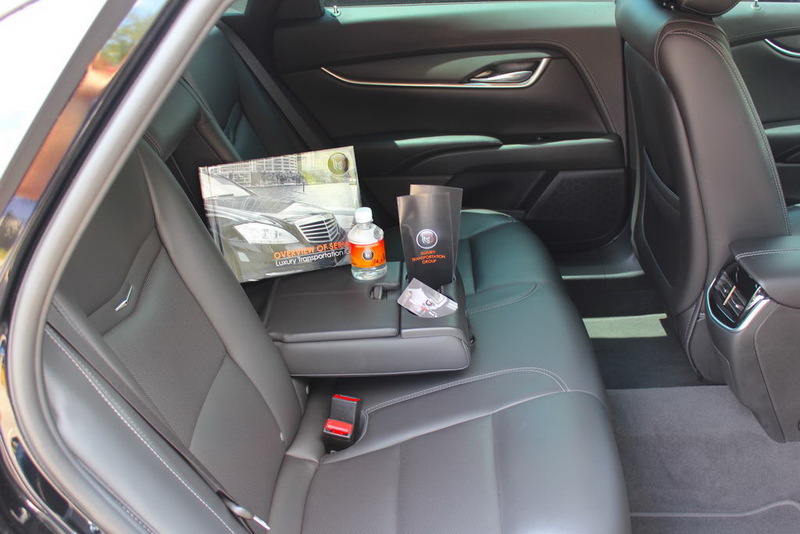 Using Luxury Transportation Group will offer you the best time without worry about drinking or getting lost. 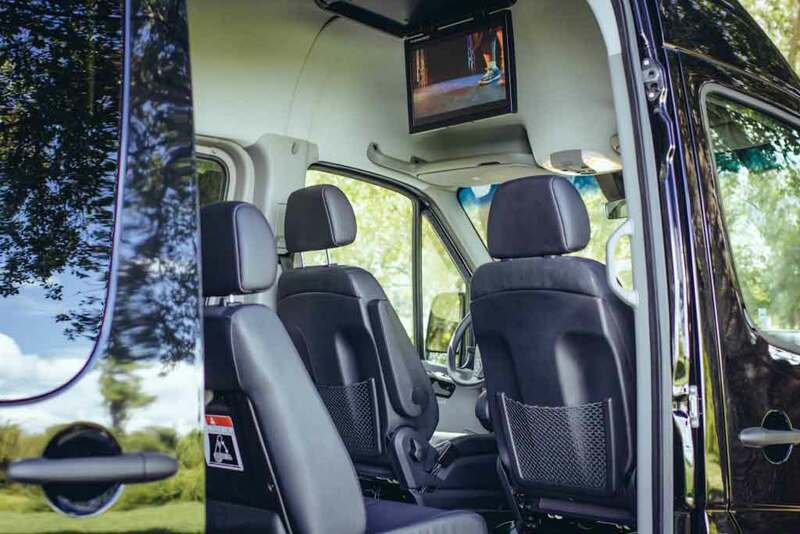 Our drivers could even possibly know the hottest spots of your interest because of their experience in driving locally. No matter where you choose or what type of entertainment you enjoy, having a driver makes it even more exciting. When people think of Florida, they generally think of relaxing sandy beaches, exciting water activities, thrilling theme parks, and incredible sporting events. They rarely consider the spectacular cafes, bistros, and five-star restaurants available to residents and visitors to “America’s Next Greatest City”. It doesn’t matter how finicky the members of your group are, there will be something to please every single person. Finding a restaurant that’s agreeable to all will never be an issue, the only problem is the lack of parking available to those patronizing the restaurants. Most eateries only have small parking lots which really puts the diners at a disadvantage. Many are forced to seek out spaces on the street, which are hard to come by. Others will need to find further away parking facilities, and walk a good distance to the restaurant. This can be a pain, especially for those who are not physically fit. It might be a wise choice to hire a transportation service to ensure that you get to the eatery in time for your reservation. 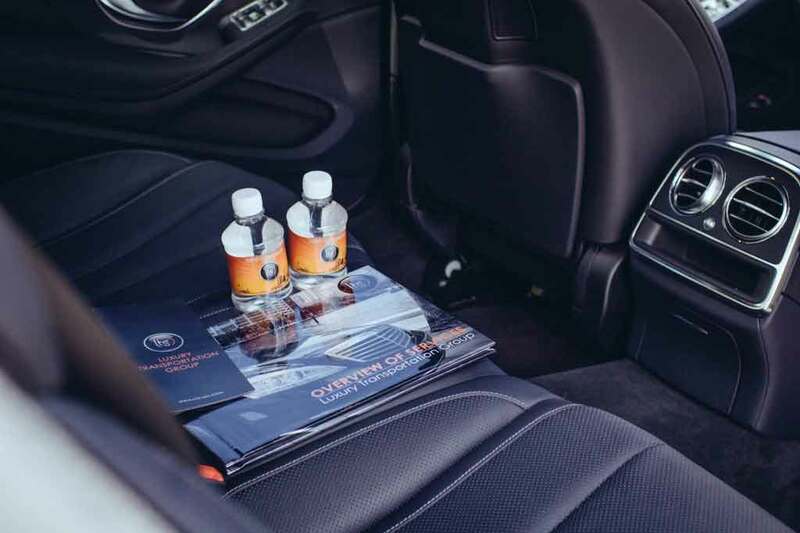 Luxury Transportation Group USA offers restaurant limousine services that will having you riding in the lap of luxury for that special dinner. 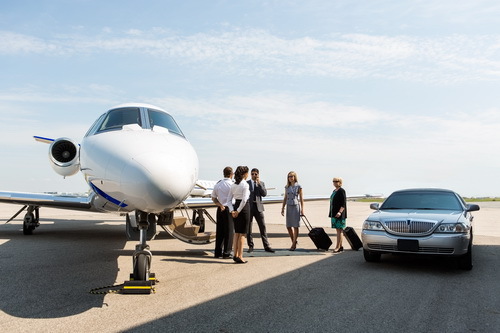 The higher up executives in a company certainly don’t expect to be getting off the plane at the airport, and riding on a motor coach with lower executives to the hotel. Let’s be honest here; the top executives won’t be staying in the same hotels as the other employees, so they need private transportation services to and from the airport and hotel. This should be a no brainer for the person arranging transportation services. 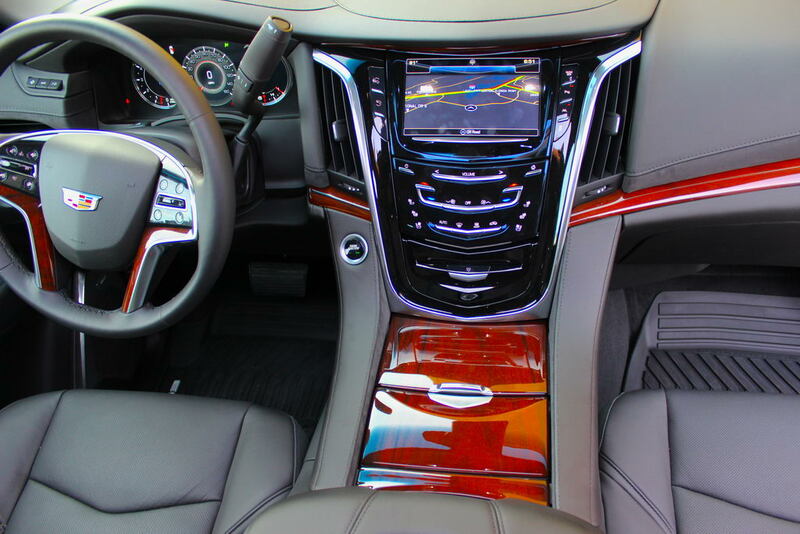 Luxury Transportation Group USA offers beautiful Cadillacs, Mercedes, and SUVs for private executive transportation in Hillsborough County. It is of the utmost importance to get all of the event attendees to the venue on time for the events planned for the day. You certainly cannot leave that up to them, or they’ll be out on the beach and arrive late, if at all. 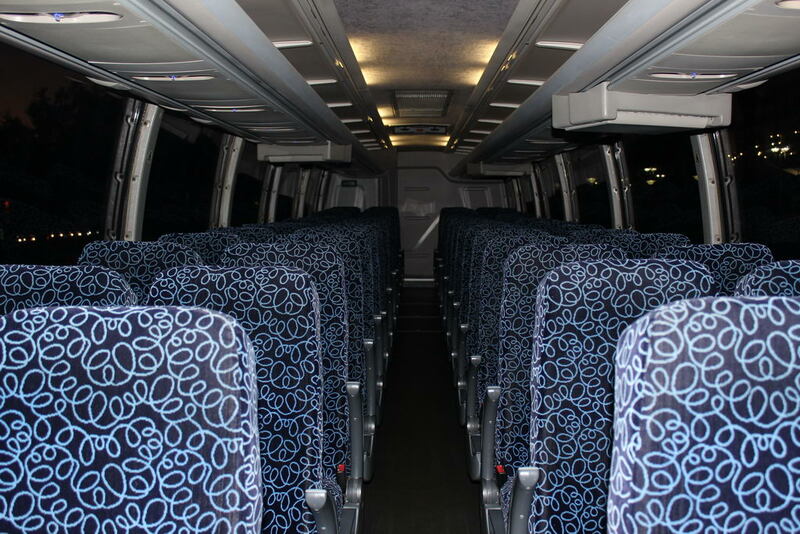 It’s necessary to have comfortable motor coaches to pick them up on time, and get them to the business event on time. 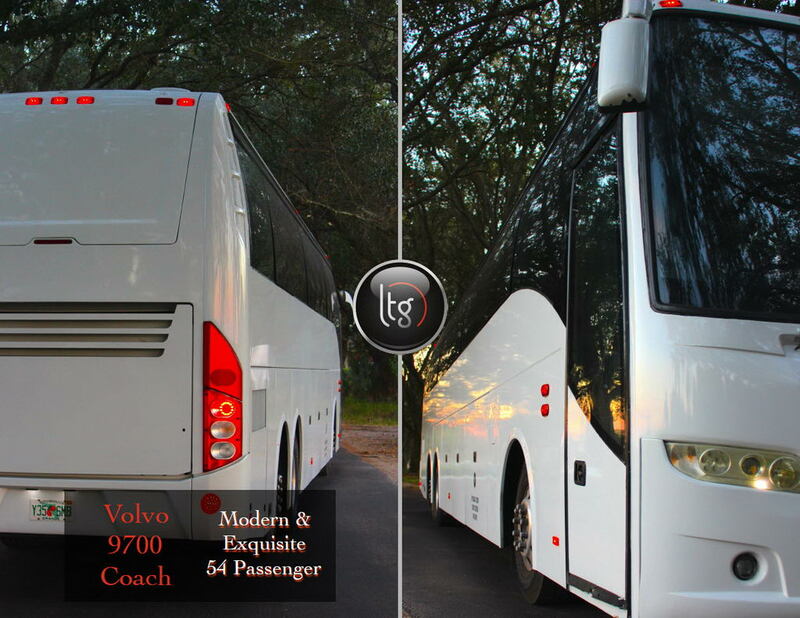 Luxury Transportation Group USA can easily provide luxury coaches for your guests. 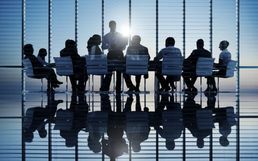 Many, many large corporate entities bring their executives to popular cities when they need to have large events for training, brainstorming, or even bonding events. It actually makes sense because the attendees won’t be in meetings or training sessions 24 hours a day, for each day they are in the area. Of course, they will sleep for some of those hours, but they will certainly be out exploring the city, and taking advantage of the beaches, watersports, fishing, museums, art galleries, airboat excursions, and the like. All work and no play leads to very unhappy employees. This is a fact. Without enjoying some downtime during corporate events, employees won’t be as relaxed or engaged in what is going on at the event. 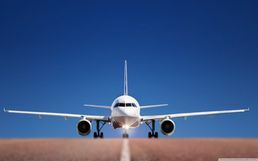 Of course, they will be flown into the city, which depending upon the flight and the class of seat, could potentially be relaxing, but it could be stressful. It all depends. The one thing that is guaranteed to be stressful is attempting to drive in the maze of roadways and highways, with the crazy drivers that zip by in a flash, cut people off, and exit without directional lights. That’s enough to break the strongest person. Luxury Transportation Group USA offers professional drivers, and luxury vehicles for airport transportation for corporate events. Orlando is always a wonderful place to visit considering all of the wonderful things that visitors to the area can pick and choose to do. Yes, it is one of the most well-loved vacation spots for families however; it is also a very popular destination for corporate events. There are plenty of great venues for holding corporate events, conventions, and business meetings, so it makes sense. Besides, the weather is generally spectacular, and a substantial change from everywhere the attendees are coming from throughout the country. Weather actually has a lot to do with how well a business goes. Dark, dreary, rainy, or snowy conditions tend to make people quieter, and less likely to share their opinions. Sunny and warm weather puts people in better moods making them more open to communication with others. Orlando is definitely the place to improve the moods of the conference attendees. Naturally, it’s the responsibility of the corporate entity to supply the transportation services for their people. 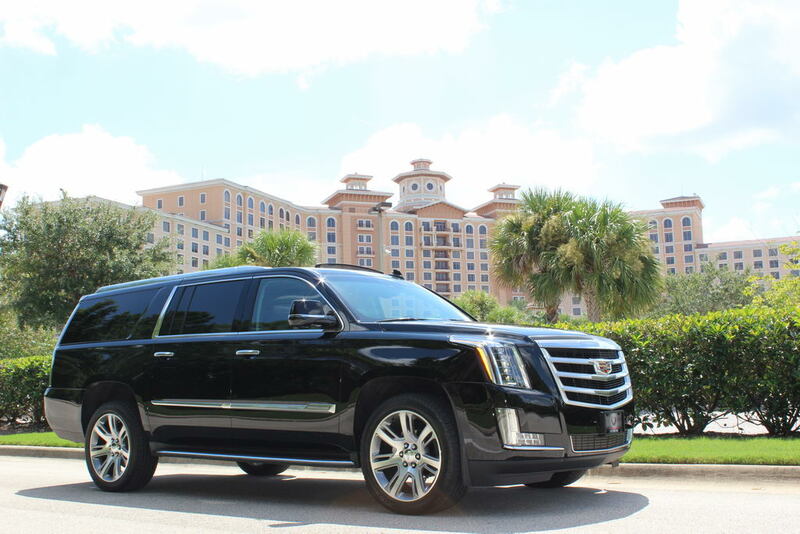 Luxury Transportation Group USA offers the best, high-end limo service Orlando has to offer. One of the most popular places in the Sunshine State for large companies to host corporate events, such as executive meetings, training sessions, brainstorming meetings, and awards ceremonies is beautiful Broward County, Florida. It’s a great place for people to get together for business, and destress together enjoying the beaches, watersports, fishing charters, and concerts. There is so much to do in the area when the attendees are in their off time, that they will be thrilled to be required to attend the business event. You can bet on that. A paid trip to South Florida will be a welcomed requirement for the vast majority. Most people would love a week in paradise, even if some of that time must be dedicated to work. Of course, the company must take care of the transportation needs of the attendees to and from the airport, and to and from the event venue. The extra activities people want to do in their downtime is left up to them, but they should also be given a referral for transportation services in the area. 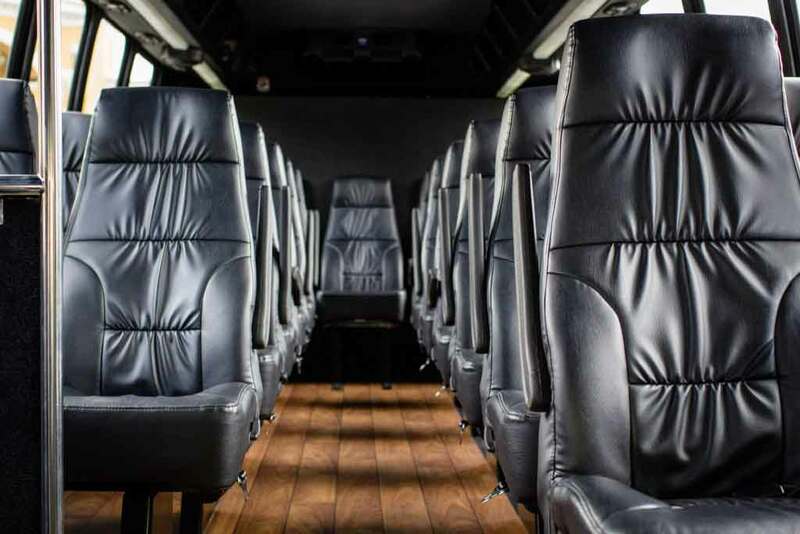 Luxury Transportation Group USA offers a beautiful fleet of luxury motor coaches that can accommodate the needs of any size group. A lot of people never realized that many large corporations have their regional management teams located in Hillsborough County. Many of their companies create their regional divisions by simply cutting a map of the United States in quarters, and selecting a popular city for the hub. With this being said, these regional offices are generally where the management level employees hold annual meetings and training sessions. While managers within the state can make the drive, and stay at a hotel for the needed time, others must fly into the local airport. These execs will need to be provided with transportation from the airport to their lodging venue. Of course, they will also need to get to and from meetings and events required by the company. Rental cars make no sense because it will cost the corporation more money than hiring a professional transportation company. Besides, if something like and accident occurs, the company would be liable for all expenses and injuries that occurred. That’s a huge liability to take on, and could prove devastating. 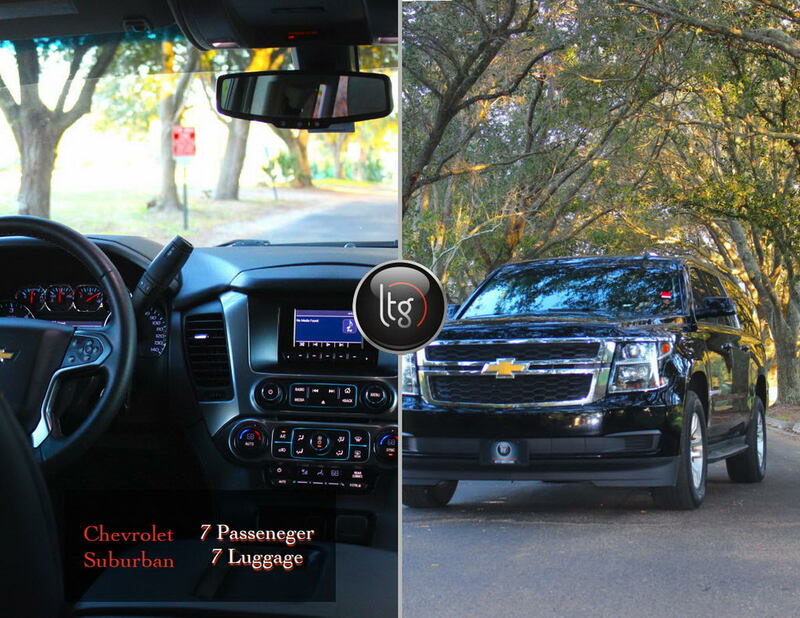 Luxury Transportation Group USA provides complete executive transportation services for business meetings. Sunny Orlando, Florida is one of the most popular places for large companies to host their corporate events. Every year, thousands of companies send hundreds of thousands of employees here so that they can attend large meetings, important conventions, and skill building workshops. Orlando is such a great city for such events because there are a wide variety of venues, more than sufficient hotels, and wonderfully fun things for attendees to partake in when they are not at company events. There’s always the ever-popular Disneyworld, amazing Universal Studios Orlando, thrilling Sea World, fun sporting events, and entertaining concerts that will surely occupy people when they aren’t working. 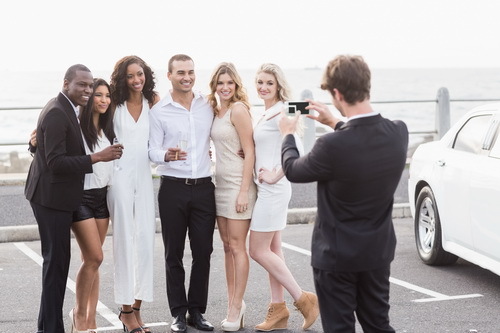 Keeping the group together and making sure that they get back to their hotels at a reasonable time is key to a successful corporate event. 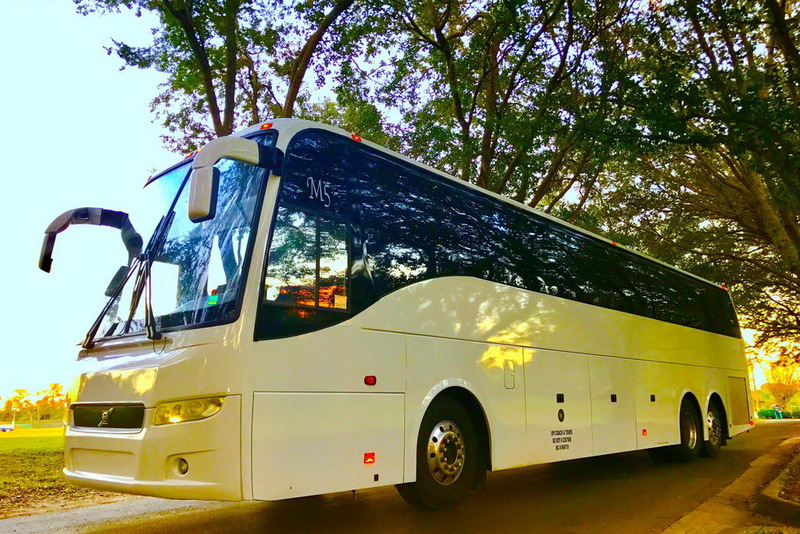 For this reason, many companies coordinate outings for their attendees and provide motor coach transportation for them to and from the excursions. 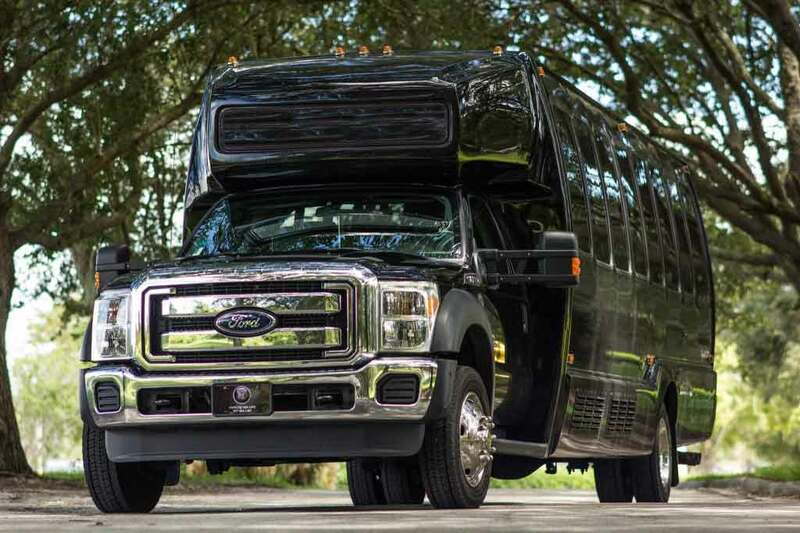 Luxury Transportation Group USA offers mini bus and motor coach limo services in Orlando for corporate excursions. It’s amazing the number of Fortune 500 companies that hold special conferences, meetings and retreats in Miami. Of course, the gorgeous weather, spectacular beaches, elite restaurants, and beautiful skyline might have a little bit to do with their city selection. Even during conventions, the attendees need to have a variety of activities to entertain themselves during their downtime. Miami is the perfect place for this. A host of contemporary venues for business functions are readily available in the area. 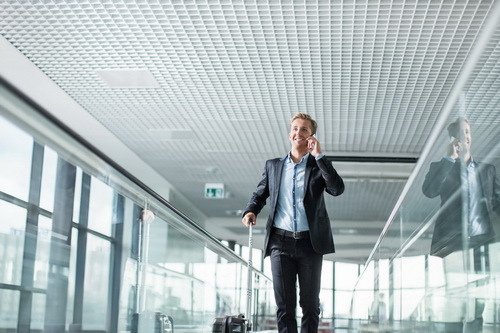 The major obstacle companies have when having meeting in South Florida is ensuring that all of the attendees get to the venue at the right time. Leaving transportation up to the individual is a bad idea. It’s wiser to arrange for corporate limo transportation, which will eliminate late people from strangling into the meeting. Besides, if people rented vehicles to get around the vast majority of them would be lost within the city. Luxury Transportation Group USA offers complete corporate limo services in Miami and the surrounding areas. There are many, many large corporations that host important corporate events in sunny Orlando each and every year. It makes perfect sense, as fewer people will being all that they can do to get out of going to the convention or training session. There isn’t a person in the world who would want to bail on a free trip to Orlando, Florida! Choosing this great city as host to company events is a wise choice, because the attendees will have plenty of things that they can do on their downtime. There’s Disneyworld, Universal Orlando, sporting events and a host of concerts and other things that will keep them smiling. Many companies opt to schedule outings for their employees, which seems to work out quite well. This way people can hop on the motor coach and get to Disneyworld safely, and they will get picked up early enough to be well rested for the next day. 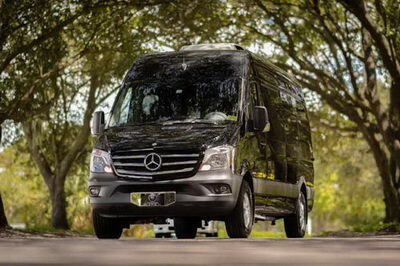 Luxury Transportation Group USA provides luxury transportation in Orlando for corporate events. Orlando is one of the most popular places for people to vacation in the entire United States. In fact, people from all over the world come to the Orlando area to experience the most incredible place created by the great man himself, Walt Disney. If you ask every person in the United States what the one place they would love to visit, more than seventy percent of them will tell you that they want to experience Disneyworld in Florida. There was a survey done by Fodor’s showing those results. While Disneyworld is reportedly the “happiest place in the world”, driving in the area certainly doesn’t make anyone happy. There are so many visitors driving around the city, while the locals are trying to get to and from their jobs and homes that the traffic snarls and accidents are plentiful. Those who truly want to have an enjoyable and stress-free vacation should consider using a luxury transportation company. It makes your holiday that much better. 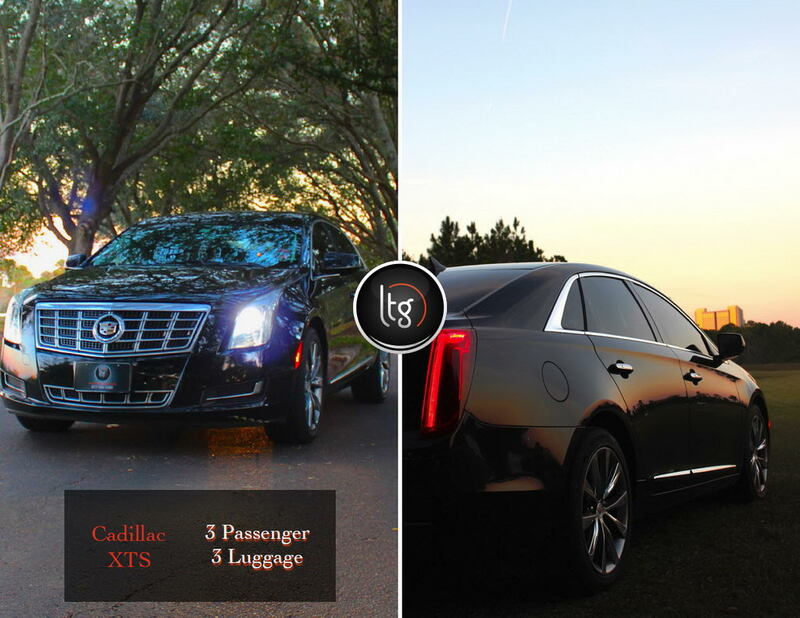 Luxury Transportation Group USA offers high end limousines for hire in the Orlando area. There are so many different options for brides and grooms who live in beautiful Orlando, Florida to consider for venues for their wedding day festivities. There are plenty of gorgeous hotels that offer spectacular banquet rooms for wedding and other special events. There are equally as many country clubs, restaurants, nightclubs, and outdoor venues that very well could be the perfect place for a wedding. Of course, there’s always Disneyworld too! It can be a very difficult decision choosing the venue for your special day however; once you do, you will certainly need to discuss how you both will get to the establishment, as well as back to your hotel. 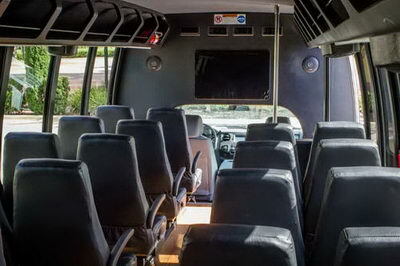 All too many engaged couples forget about booking luxury transportation until the last minute. 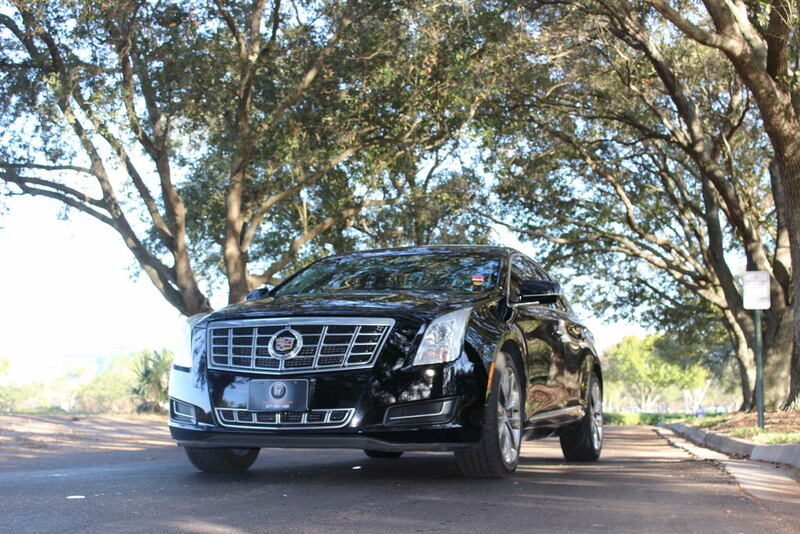 All too often, the coolest vehicles have already been reserved as limo service in Orlando is in high demand. 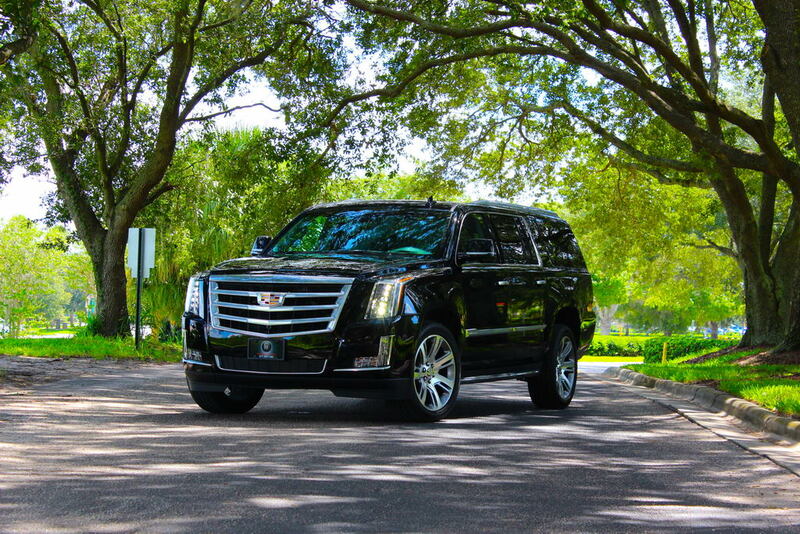 Luxury Transportation Group USA offers the finest limo service Orlando has to offer. Many people tuck away a little extra money every week after payday to save up for a wonderful cruise vacation. Everyone works hard all year, so they can get away from work for a week or two, and enjoy time on a special getaway. This is also a good time to spend with the family, and enjoy spending time together. There’s certainly not enough family time these days, considering how busy life is for both adults and children. A little downtime to relax and enjoy each other’s company can work wonders on building the family bond. Unfortunately, the cruise vacation can easily get off on the wrong foot for those who plan to rent and vehicle and drive themselves to the seaport. Visitors to South Florida can easily become lost and confused on the highways. Driving in the city is nothing short of a nightmare. This aggravation can easily lead to short tempers and hurt feelings. Worse, you could miss the departure time, which isn’t a rarity. A limousine company will be able to get you from the airport and to the port of call on time, and without stress. Luxury Transportation Group USA provides quality limo services with rates that are affordable for a family. South Florida is a wonderful place in which to live, and it’s a mesmerizing place for people to visit and vacation. The area has so much to offer everyone. Of course, there are sporting events, museums, art galleries, and the pristine beaches and warm, blue waters for incredible fun in the sun and ocean however; there are also magnificent shopping options available to all. From chic, little boutiques and specialty shops to pricy outlets and designer stores, “The Magic City” has so much to offer. Even the most discerning shoppers will feel like they are in retail paradise. The only problem with shopping in the area is the lack of available parking. Oftentimes, you have to drive around to find available parking, and then walk a good distance to get to the shops. Of course, you’ll have to lug all of those bags back to the car. 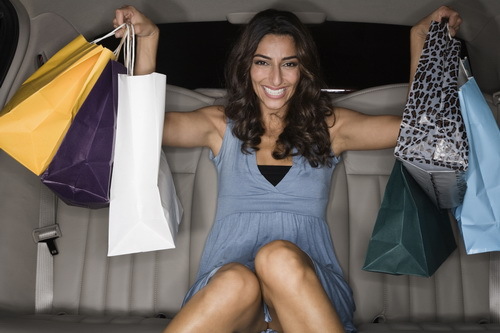 Many people opt to use a car service for their shopping excursions. This way, the limousine will be right there to whisk you away when you finish at a store. They will also have your bags secured while you continue shopping at other places. 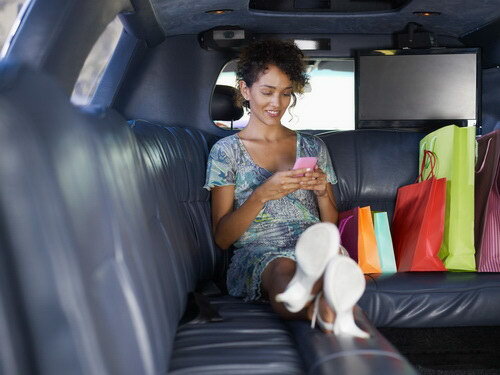 Luxury Transportation Group USA provides door to door transportation services for shopping excursions. 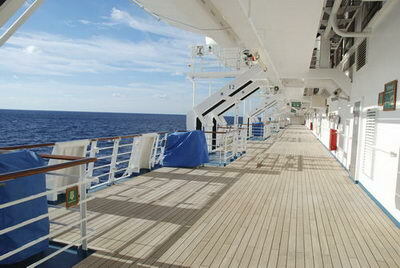 Cruise vacations have been becoming more and more popular over the past three decades or so. Years ago, cruise ship holidays were only affordable to people who were wealthy. All of this has changed. 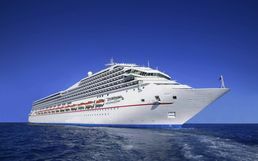 Many of the all-inclusive cruise packages end up being less expensive than taking a traditional vacation somewhere in the continental United States. In fact, even families with young children find cruising on the ocean to tropical destinations affordable and enjoyable. A lot of the lines even have special programs for kids, so their parents will be able to enjoy some of the adult oriented activities. Everyone will be able to enjoy the things that they enjoy, yet still spend some time together as a family on the vacation. There are no losers on such cruises. Of course, there is the issue of transportation to the port that must be addressed early. While some people opt to rent vehicles at the airport so they can get to the port, but that’s unwise. The cost of the rental car and the parking garage fees are like throwing money out the window. It’s better to hire a transportation service to get you to and from the destination. Luxury Transportation Group USA provides complete limo services for area ports of call. 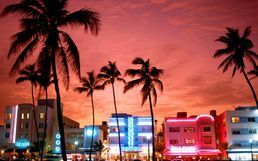 There are very few things in the entire world that are more exciting than going out on the town and experiencing the incredible nightlife that wonderful Miami has to offer. There is just so much to see and do in the area, and that certainly does not stop when the sun goes down. In fact, there are things to do all throughout the night that many people don’t get back to their hotel rooms until the sun is starting to peak over the horizon. Many people like the fact that there is a significant chance that you will at the very least catch a glimpse of at least one celebrity, provided you go to the right hot spots. Unfortunately, many of the nightclubs have people lined up waiting to get inside. You will have a much greater chance of getting right in the door if you should up in a chauffeur driven limo. This will certainly make the person at the door think about letting you enter the establishment. Luxury Transportation Group USA offers high end limos in Miami. Miami can be considered a Mecca for many national and international corporations. The weather is generally gorgeous, the beaches pristine, the water sparkling and the energy so high that it will keep your executive attendees upbeat and networking, even in their down time. 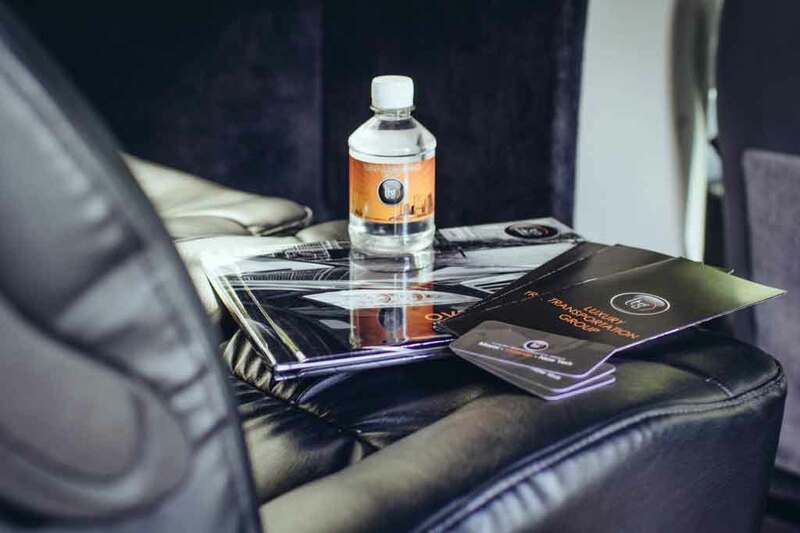 Depending upon your selection of hotels and after hours events, they very well might meet some movers and shakers that can help your company to grow. The only trouble with having major events in Miami is getting everyone to the venues at the same time. Miami traffic can be brutal and the roads are a bit more than confusing for most visitors. Honestly, the roads can truly leave a person baffled and eventually, lost in Miami-Dade County. 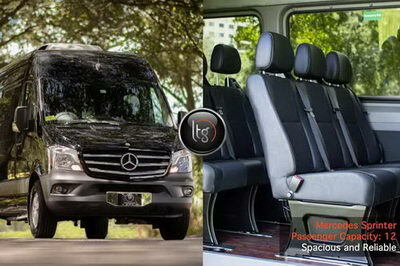 Corporate minibus services can surely make transportation for the attendees much easier. 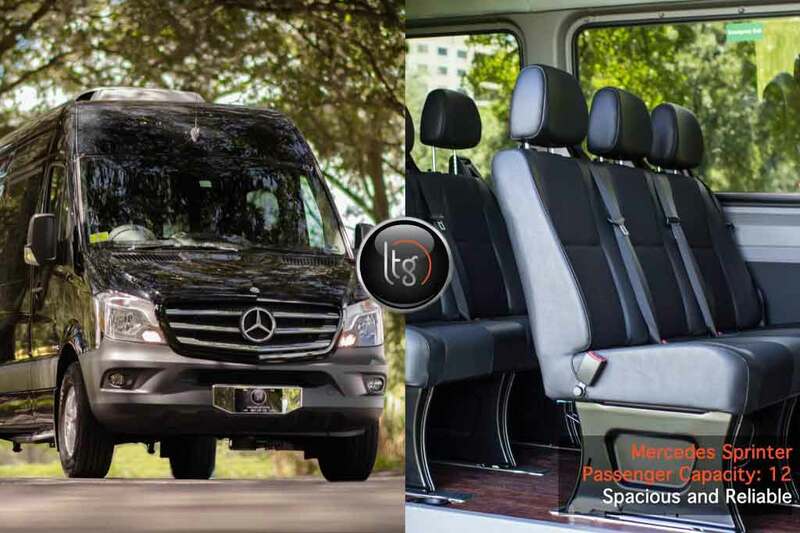 Luxury Transportation Group USA offers the finest transportation services in Miami and the surrounding communities. There are loads and loads of people who flock to the Tampa area each and every year to experience fun in the sun, their toes in the sand, and the warmth of the beautiful water. 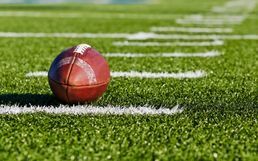 Of course, they also visit to partake in the plentiful watersports available, as well as watching sporting events, such as Tampa Bay Buccaneers football games. Tampa is such a versatile city that it has more to offer its visitors than they could ever have the time to experience on their vacations. The only true downside to visiting the area is the fact that driving can be an absolute nightmare here. People are always in such a hurry to where they want to go that they disregard the other people on the road. For this reason, many visitors hire professional transportation companies to get them around this confusing and congested city. 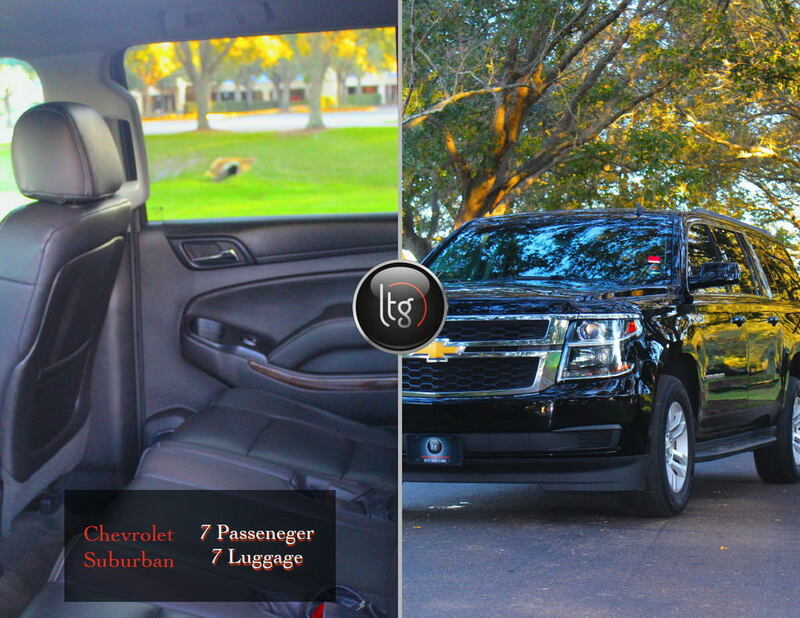 Luxury Transportation Group USA offers complete luxury limousine services in Tampa. Sunny Tampa has a veritable smorgasbord of options when it comes to venues for corporate events. There are venues capable of handling a small number of attendees, and some that can accommodate thousands of attendees. For this reason, Tampa has become a Mecca for companies hosting corporate events. Besides, there are slews of things that the attendees can partake of when they are not busy with work related meetings and events. They can enjoy the sandy beaches and warm blue water, get active with water sports or fishing, or simply stroll through the art galleries or boutiques. Unfortunately with so much to do, the executives might be tempted to miss an event. 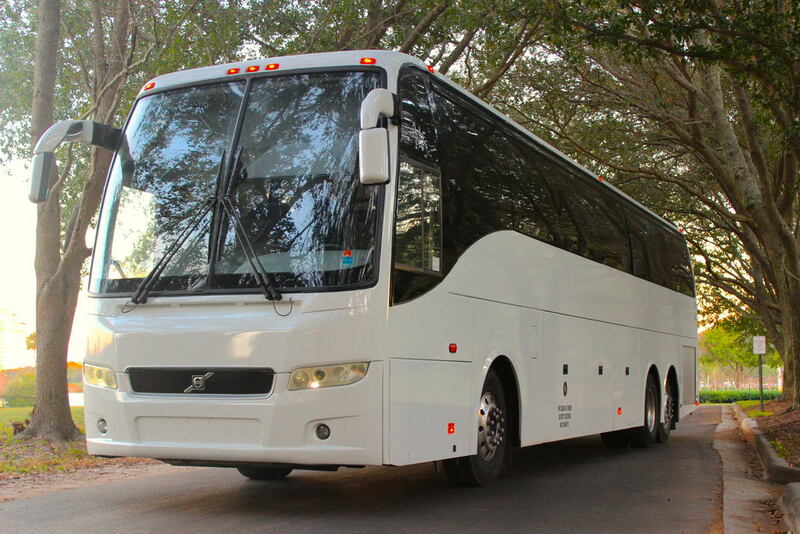 By providing corporate mini coach transportation, they will certainly be at all events on time. 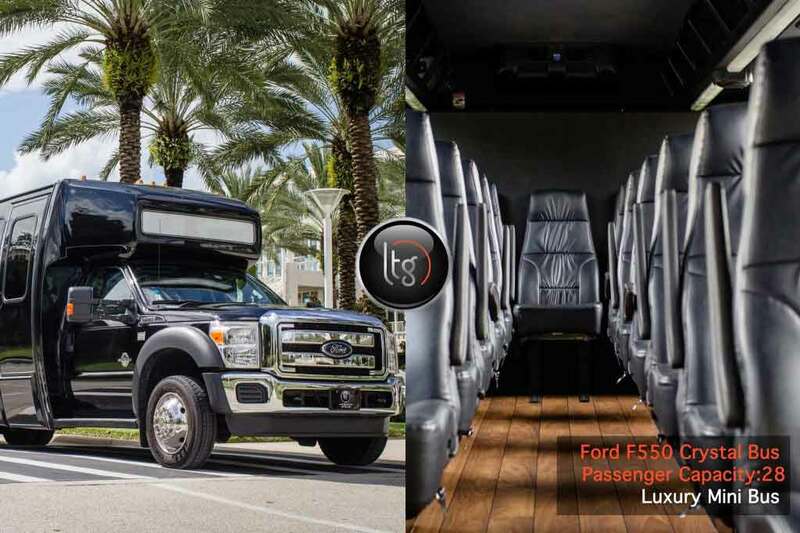 Luxury Transportation Group USA offers the finest mini coach transportation for the hustling and bustling city of Tampa. While living in the absolutely spectacular Sunshine State is nothing short of abiding in paradise, many Floridians still like to experience a bit flair by traveling to new destinations. For the most part, their preferred method of transportation to do so is by luxury cruise ship. Sure, jumping onto a plane will get them away faster, but flights can be very expensive if you want to stop in and visit a variety of destinations. Going on a cruise ship can make doing so very affordable, even for the senior citizens living on a fixed income. The truth is the cost of going out cruising has come down significantly over the past decade or so. Even though the prices have come down, the amenities and entertainment and quality of services have even become much more desirable. People can go wrong with cruises these days. 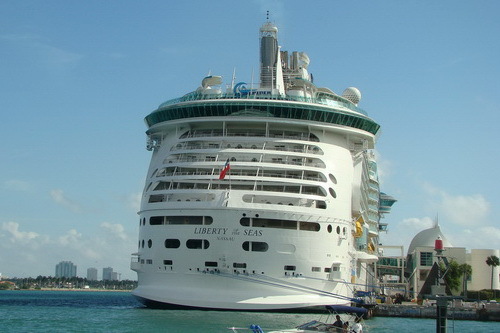 Of course, there is always the issue of getting from your destination to the cruise ship’s port of call. There are people who will drive their personal vehicles there, and leave them in a parking lot. They will have to pay fees for car storage, and they are still faced with lugging their bags from the lot to the ship. It’s a pain in the neck. Luxury Transportation Group USA offers door to port services with luxury limousines for cruisers.